Celebrating the life of Robert W. Reese, Jr.
Obituary for Robert W. Reese, Jr.
Robert Woodrow Reese, Jr. was born on July 29, 1956 in Houston, Texas and passed away on April 12, 2019 in New Braunfels, Texas. Robert was surrounded by his loving family in his last moments, including his wife, his son, his sister, and his niece as he left this world to join the Lord in eternity. Robert grew up in Houston and Hurst, TX and graduated from high school and attended two years of college in Houston. He had two main careers in his life, first as a Loss Prevention and Risk Management Specialist at JC Penney’s for many years and a Sprint store manager until his death. He has friends and family in the Houston, New Braunfels, Massachusetts, and Arkansas areas. 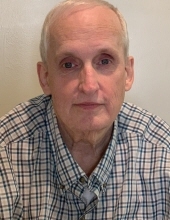 He had many pastimes and hobbies that he enjoyed including classic rock music, computer gaming, collecting some of the latest tech gadgets, and he was a fan of science fiction movies and books. Star Trek and Star Wars were among his favorites to watch, and he also often enjoyed a good James Bond movie. He is preceded in death by his father Robert Woodrow Reese, Sr. and his mother Edna Louise Wood Reese and his sister Shirley Denise Reese Seagraves. He is survived by his wife, Shela Davidson Reese and his son Robert (Bobby) Woodrow Reese III. He is also survived by his sister Kathryn Lynn Reese Thornton and by his niece Jennifer Lynn Thornton Williams and his nephews James Carlos Bennett III, James Robert Lawrence and Jonathan Michael Lawrence. Robert is loved dearly by his family and friends and will be greatly missed. To send flowers or a remembrance gift to the family of Robert W. Reese, Jr., please visit our Tribute Store. "Email Address" would like to share the life celebration of Robert W. Reese, Jr.. Click on the "link" to go to share a favorite memory or leave a condolence message for the family.